offers treatment options that have helped men and women throughout Metro Atlanta manage or overcome urinary incontinence. Many men suffering from symptoms of enlarged prostate. You no longer have to be one of them! Call us today!
" I felt like he understood my anxiety about searching for an answer to my problem." "DR JABREN IS VERY KIND, GENTLE AND TAKES A PERSONAL INTEREST IN HIS PATIENTS." "Excellent experience with this doctor"
"Great doctor. I will see him again in the future if I ever need a Urologist again." "He was incredibly kind and took his time explaining everything to me." "He is very professional with a good bedside manner." "Dr. Lopez's staff are top notch, always pleasant even in adversity. " "Dr. Folgosa is a wonderful caring doctor, and his staff is just amazing!!!!" "A very good Doctor that takes the time to explain things to you." "Dr. Eaton and his staff are amazing!" "I would HIGHLY recommend Dr. Libby. He has taken care of me for 3 yrs now." 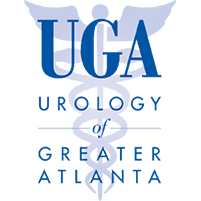 Urology of Greater Atlanta offers the residents of Atlanta a team of top quality Urologists and surgeons experienced in every aspect of urology, including: urologic oncology, kidney stones, female urology, and male infertility. Our goal is to provide compassionate, quality care using the latest proven treatments, and state-of-the-art technology to achieve the best possible results for every patient that we see. Urology of Greater Atlanta, LLC, has seven practice locations, conveniently located across the Metro Atlanta area. 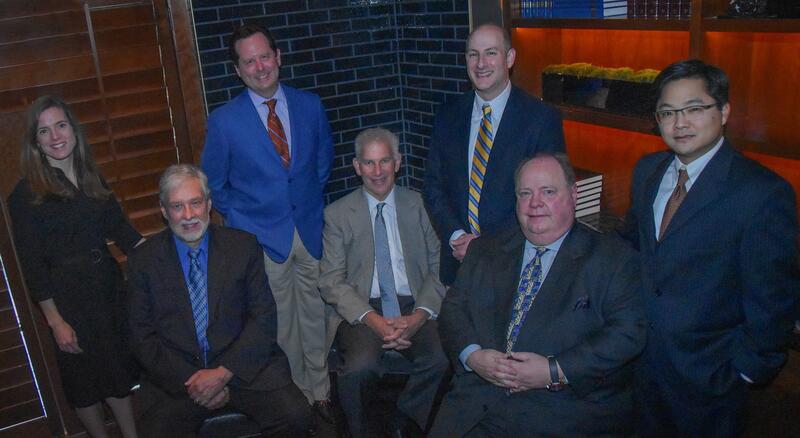 Our team is comprised of seven of Atlanta’s most accomplished doctors who are all board certified and members of the American Urological Association. By treating men and women, we ensure we’re available for everyone’s urological needs and concerns. Our vast array of services range from robotic surgery to vasectomies to prostate cancer screenings. A full-service practice, we offer onsite X-rays, CT Scans and laboratory services, and easy-to-schedule appointments. We take pride in offering timely appointments without a long wait. Our doctors are trained and experienced in handling the delicate issues many face in the world of urology, such as infertility and sexual dysfunction. No matter what brings you into one of our offices, we make every effort to find a solution that benefits you and your lifestyle. With convenient appointments and a team that genuinely cares, Urology of Greater Atlanta offers peace of mind along with every other service we give. "A rare and gifted physician. The best possible combination of ability, experience, and compassion, all contained in an extremely personable young man." "The best Urologist in Atlanta. I was treated by three other Doctors. That couldn't help me. Then I found Dr. Lee. Great!" "Can not say enough good things about Dr. Lopez and his staff. Just the best people to have on your side when you are having difficult times." "I really like Dr. Lee. He is very patient, listens to my concerns and answers me to where I completely understand what is wrong." "Dr. Eaton has helped me through a lot of kidney problems went out of his way to help. He is one doctor I know that honestly cares about his patients." "This is the cleanest, most efficient medical facility I have been to in a long time. The staff is incredible. Dr. Jabren is an excellent doctor." "Dr. Eaton is such an amazing doctor. He has helped me through a lot with my kidneys stones... he even stayed late on a Friday for a same day surgery!" "Dr. Lopez is more than awesome. Can't say enough about him. He took care of me and David when we both had issues." "I think the world of Dr. Jabren, he really does care about his patients and their well being." "My husband has been seeing Dr. Lopez since 1998. Dr. Lopez is the best. Great bedside manner, caring, thorough and professional. Highly recommended!!!" "Worth traveling to. Every single person there was kind and professional. Thank you dr Libby and staff. God bless you all." "Dr. Eaton is very caring and helpful, he listens and solves the problem." "I've been seeing Dr Folgosa for quite some time, and I wish all of my doctors were more like him." "Excellent doctor, he has been treating me for several years. He has great bedside manners and is always willing to help." "Excellent doctor and staff. I have used him for many years and have even flown across the country just to use him." "Dr. Lee is a very competent urologist who has seen me for approximately the past 5 years. I have much confidence in him." "Sweet to speak with. Obviously knows what he is doing. I have been to several urologists and he is the most impressive to me." "Dr Jabren is a straight shooter. He is very professional with a good bedside manner. The surgical center staff are wonderful, too." "Excellent service from the staff to the Dr Lopez. I did not feel like he was in a rush. He sincerely listened to the issues and really made me feel at ease."